I've added a link for each book, MOST may be purchased new or used and I've seen a few at our local Goodwill book store, so shop around. Don't forget the library too ! I own all the books pictured here, pictures were taken on my sewing room floor. I know the books I'm sharing ! This is the FIRST Quilt book I ever purchased ! I purchased this years ago for cents and I go back to it time and time again. Being an Iowa Girl, taking classes from them both, this is an all time GREAT book. Wonderful pictures and the every quilters guide to how to do everything in quilting. As you can see mine is so old they have changed the cover ! 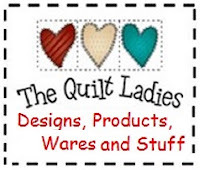 This is a newer book and looks at patterns and LOTS of quilt ideas. I purchased a new book shelf.....getting them out of piles !